Get each feature just the way you want it as we build your Dream Home! Wanting to build your own custom luxury home? Have the plans and ready to get started. Contact us today! Needing to build on a challenging slope or block? We have the experience to build your home. Give us a call. Are you looking to renovate your kitchen or bathroom or looking to expand. Give us a call for a free onsite quote. Do you want the best possible quality for your new or renovated home, but you don’t want all the hassle? Nikal Design and Construction can take the stress out of your build and you can be sure your new home will be something you enjoy for years to come. Whether you have your own design or would like to choose from one of Nikal Design and Construction’s prebuilt homes that you can move straight into, our team is ready to turn your dream home into reality. 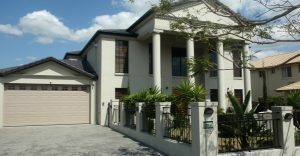 For over 20 years Nikal Design and Construction have been working from Brisbane to the Gold Coast to ensure their client’s homes are quality in both construction and design. Nikal Design and Construction take great pride in the custom and luxury homes we create, and our history shows the beautiful results we achieve with our outstanding construction techniques and finishes. Regardless of whether you have a standard, unusual, or sloped block of land, Nikal Design and Construction will ensure they get the most out of your block, and design and build accordingly. The team at Nikal Design and Construction ensure they remain in touch with the current trends, giving our clients the latest information as well as the tried and true traditional building techniques that have stood the test of time. We don’t expect our client’s to have all the answers, after all, we are the experts! Our professionals will explain your options and keep you informed every step of the way. 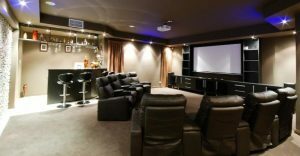 You will have complete control over your project, and your budget! After all, this is YOUR house. Functionality is very important to us. Your dream home or renovation must be practical and able to function to suit your lifestyle. 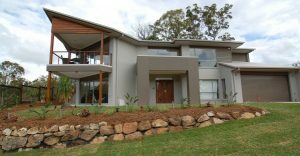 As licensed builders in Queensland, we have a proud history of servicing Brisbane and the Gold Coast areas in both specialist renovations and full scale builds. At Nikal Design and Construction we are uncompromising on both quality and design, and you may be surprised by our innovative ideas to make your dream home luxurious and yet practical at the same time. Every home designed and built by Nikal Design and Construction is built to last. We use only the best products, the best techniques, the best finishes and the best builders to ensure your home stands the test of time! Your new custom home will be designed with the future in mind!Your job is to choose the best, Nikal Design and Construction, and let us take care of the rest! We were ecstatic to work with Bob as our builder, after a series of disappointing failures with previous builders and architects. With your Dream Home or Renovation?